Excellent urban fantasy that mashes a devastated inner city Toronto with Caribbean spirituality and makes everything work. 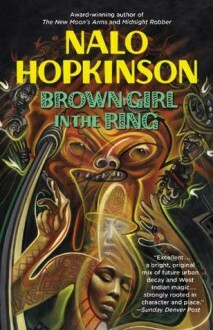 An engaging young heroine, lilting dialect that sings instead of stumbles, lots to like in Hopkinson's first novel. A little like Emma Bull's Bone Dance, with dialogues written in dialects.